Garry Rogers Motorsport (GRM) is one of the most enduring racing teams in Australian motorsport and this year we are celebrating 50 years of racing involvement. The team competes in the hotly contested V8 Supercar championship, which is regarded as one of the finest touring car racing categories in the world. The championship can boast of being the only Australian sporting category that tours every state in the country and also carries a level of international popularity that brings it to locations across the globe, including an upcoming race meeting at the $350 million Circuit of the Americas' venue in Austin, Texas, later this year. The increasing level of engineering investment and development among teams has meant that we must explore every possible avenue in order to be a leader in our field. With restrictions on wind tunnel testing in the category, we have turned to computational fluid dynamics (CFD) in order to acquire detailed aerodynamic data, which is where Pointwise brilliantly has tapped into our requirement for high quality CFD meshing. Figure 1: Front brake assembly mesh demonstrates the immense complexities of our CFD projects. In V8 Supercars, we deal with fluid problems that are complex and dominated by flow separations with Reynolds numbers in excess of 1 million. The Pointwise CFD meshing software has been very robust and has delivered high fidelity results for our aero projects. It has also proven to be significantly faster while still providing a higher level of mesh detail without consuming extra computational memory to do so. Using Pointwise has allowed us to mesh models in less than one hour, in comparison to other software which can take more than six hours. Additionally, its excellent support of multiple import and export formats has made it an integrated part of our project workflow rather than an extra step. In addition, the export capabilities have allowed us to export models from Pointwise into CFD solvers in less than 10 percent of the time it has taken with our previous meshing software. These speed increases have given us the ability to devote our computational resources to other projects, significantly increasing our productivity and allowing us to have a more streamlined and efficient workflow. With 195 million elements and 35 million nodes for finite element CFD solver, this is believed to be one of the most detailed full car CFD models in Australia. 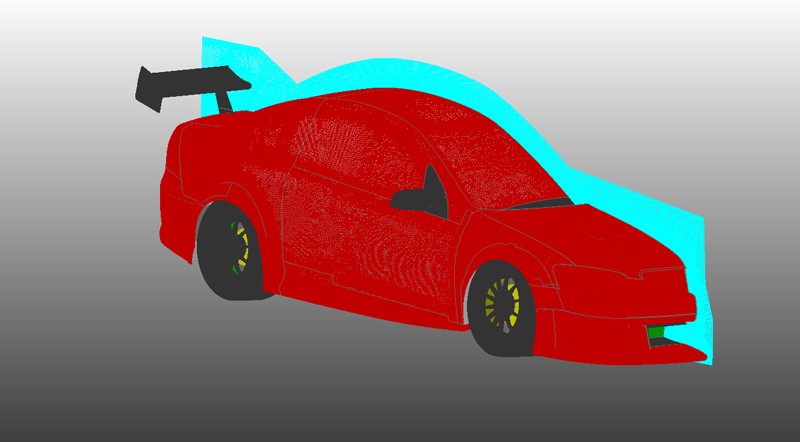 Figure 2: A view of the surface mesh used for the full car model. Figure 3: The full car has a highly detailed under carriage to capture all of the flow effects. Pointwise generated a computational domain of almost 200 million elements for this entire vehicle. 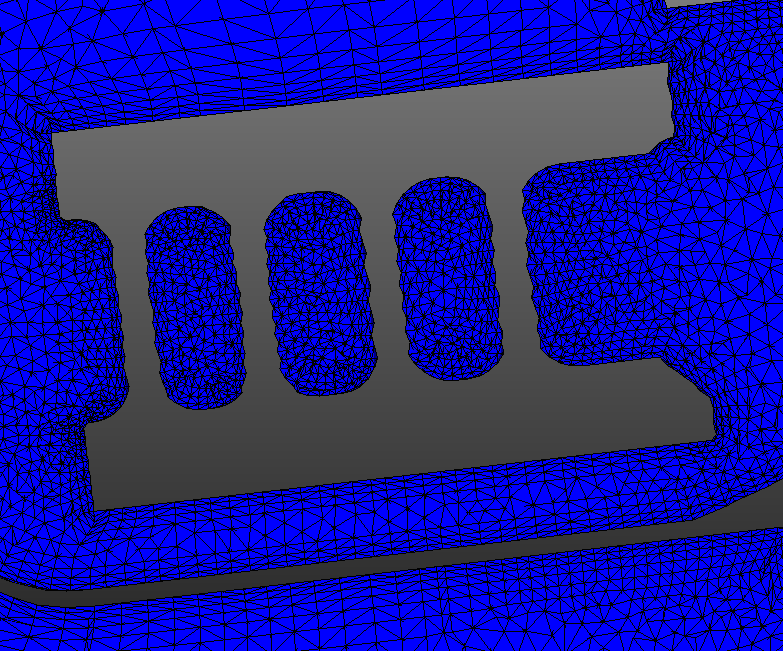 Mesh quality provided residual ratio convergence for full car down to 0.0001 within 150 time steps within 50 hours. Figure 4: The computational domain for the full car model. 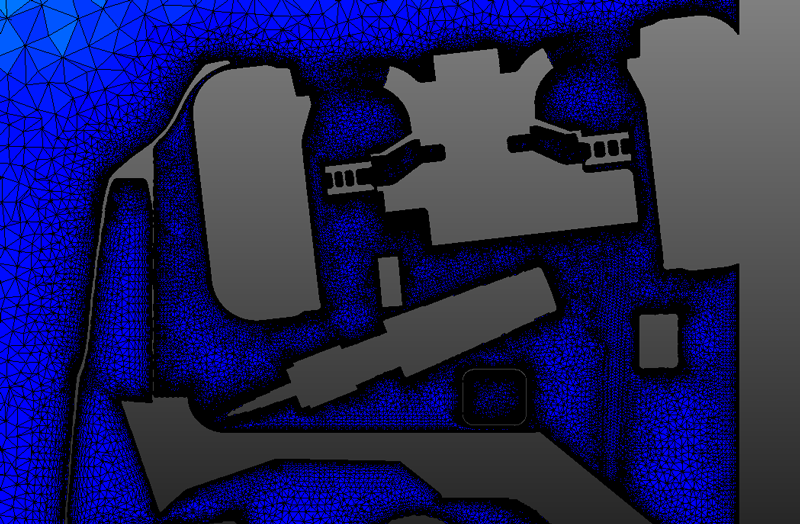 Pointwise connector seeding helped optimize the domain for quality and computational efficiency. Figure 5: A view of the differential housing above the ground plane for the full car model. 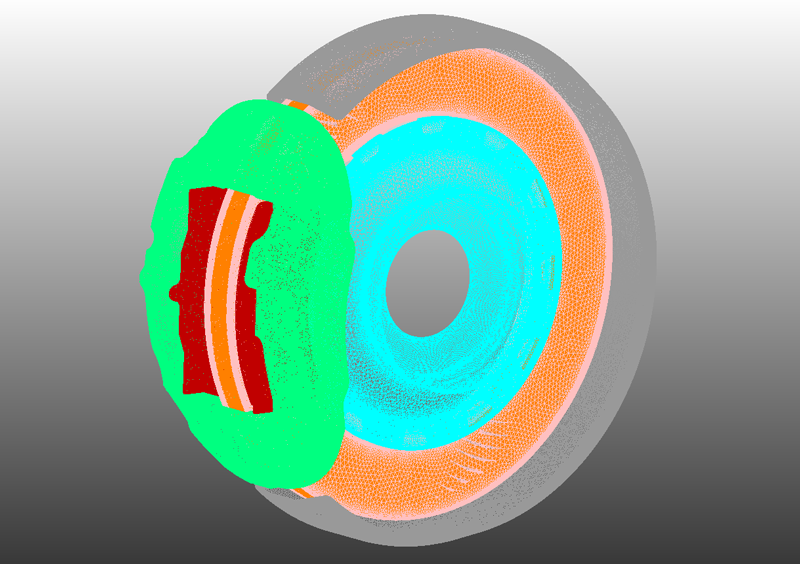 Figure 6: Looking through the wheel section, this is one of the most complex regions of the car, containing at least 30 percent of the total elements created for a full car simulation. The T-Rex (anisotropic tetrahedral extrusion) tetrahedral layers captured the highly detailed boundary layer development, critical in our application for the accurate prediction of component down force, in particular, diffusers in close proximity to the ground and wing elements. The ability to mesh in blocks cut meshing time since the vehicle can now be split into sections thus reducing the time for developing new meshes by more than two hours. The Pointwise script support was useful for automating repetitive tasks such as connector splitting. In this case, this allowed us to save up to two hours when making component modifications. In 2012, a surface mesh was imported and a computational domain created in Pointwise. 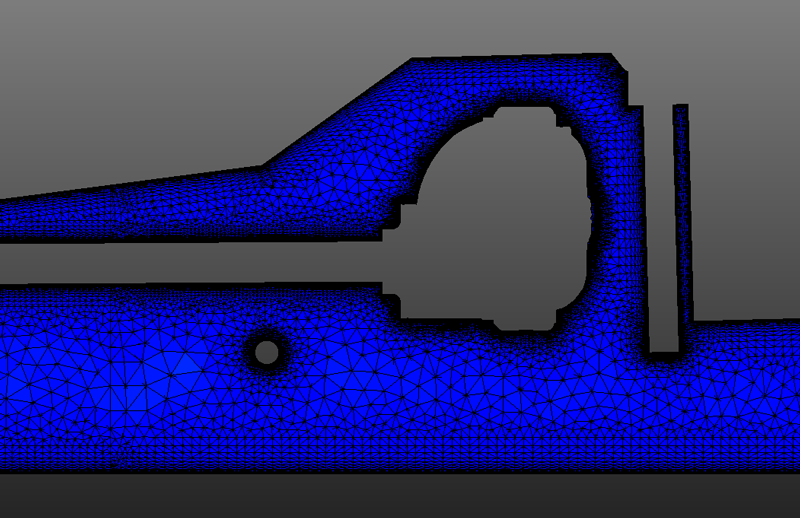 Our plans for 2013 are to move all meshing operations, 2D and 3D, into Pointwise, thereby saving an additional step. We ran direct comparisons with models produced in Pointwise and our previous meshing software and found smoother convergence and surface outputs with models produced in Pointwise. Pointwise's fast meshing and export capabilities allowed rapid development of an optimized brake duct and therefore enabled the team to run through more than 20 iterations in a couple of weeks, compared to two iterations per week with the previous meshing software. Brake duct development using Pointwise resulted in a predicted 37 percent increase in air mass flow rate, which translated to average brake temperatures dropping 27° C and a reduction of peak temperature observed under intense braking of up to 60° C.
Figure 7: The volume mesh captures the boundary layer region between the rotor and shroud in very high detail. 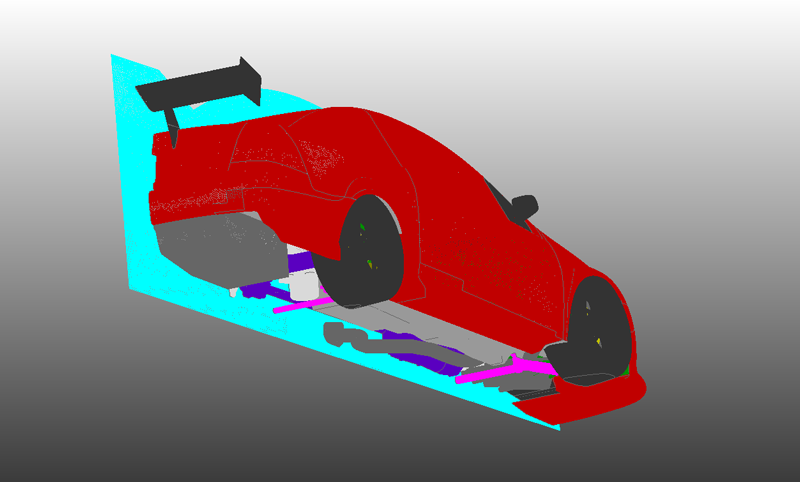 Running one of the most detailed full-car CFD models in Australia has meant that we can really push our software to the limit. In the past 12 months using Pointwise, we discovered a mesh-write output limitation of 198 million elements. While this portion of software was written by a third party and was promptly investigated by the Pointwise team, this is a demonstration of the strong benefits of putting this software to the test in an environment such as ours. Figure 8: Another close view of the mesh within the brake rotor showing the high level of detail captured by the Pointwise mesh. In recent weeks, we have unveiled our all new VF Holden V8 Supercar, which is also the base for the new Chevrolet SS that will be competing in the American NASCAR series, making our work recognizable on a worldwide scale. The new development challenges involve a new aero package, more detailed and complicated rear suspension geometry along with larger brake system, which will again push the Pointwise software even further and we are certain it will be up to the task. 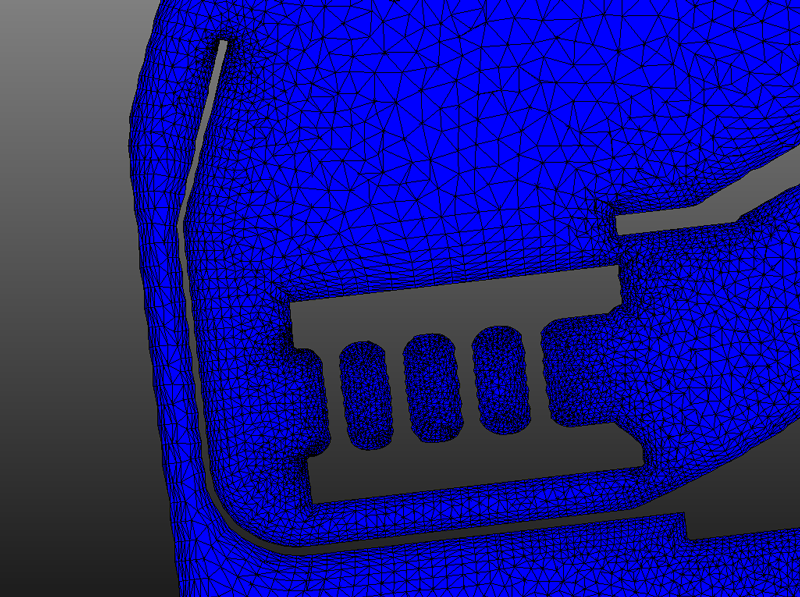 The Pointwise motto, “meshing just got a lot less painful” could not be truer after our experience using it.